Shibuya is one of the 23 wards of Tokyo, which covers locations far beyond the train station of the same name; but Shibuya is best known for the popular shopping and entertainment area surrounding the station. 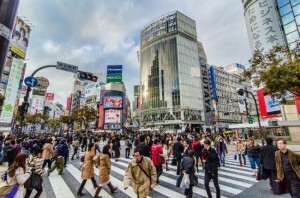 Shibuya Ward includes many well-known commercial and public areas such as Harajuku and ?Omotesando, Yoyogi Park, and Meiji Jingu Sports Arena. Its residential districts tend to be upmarket and prestigious and include the likes of Daikanyama, Ebisu, Hiroo, Jingumae, Shoto and Yoyogi. Shibuya station area itself is packed with shopping, dining and nightclubs serving swarms of visitors that come to the district everyday.It is a center for youth fashion and culture, and its streets are the birthplace to many of Japan’s fashion and entertainment trends. 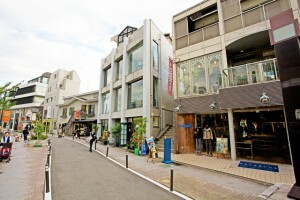 Daikanyama is a super trendy and fashionable area that is conveniently located not far from Shibuya and Ebisu. An upscale and prestigious location, the area houses upscale residences nestled among its high-end retail establishments, eateries and unique stores. Famous landmarks include Daikanyama T-Site and Saigoyama Park. Daikanyama T-Site is an architecturally award-winning development complex that houses a variety of upscale shops, caf辿s and restaurants and Saigoyama Park offers a nice family-friendly spot with good views of the surrounding area and graceful cherry blossom trees. Tokyo Baptist Church is also in Daikanyama area and offers English worship for foreign residents. 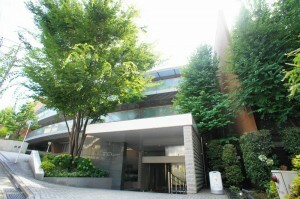 The neighborhood offers some well-known property developments; such as La Tour Daikanyama, Daikanyama Address, as well as many smaller, low-rise buildings. The area around Daikanyama station offers a large variety of restaurants, hair and beauty salons and quirky, one-of-a-kind shops. There are access to supermarkets and other necessities. The closest train station is Daikanyama station, which serves the Tokyu Toyoko line. 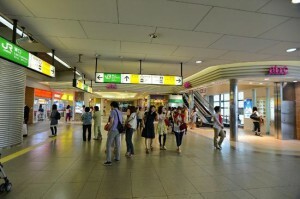 However, Ebisu and Shibuya train stations are accessible. Ebisu, nestled between Hiroo, Shibuya, Daikanyama and Nakameguro is both a commercial and residential area. The area surrounding Ebisu train station (which is served by the JR Yamanote and Hibiya train lines) is commercial with retail shops (including an Atre shopping center). The neighborhood is well-known for its restaurant scene, which offers a wide variety of eateries for any type of budget. Beyond the commercial area is a wide selection of high-rise apartments as well as individual houses. 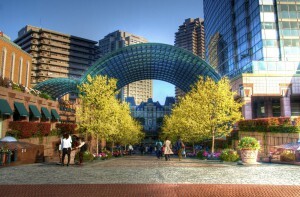 A major landmark in the Ebisu area is Yebisu Garden Place, an upscale business, retail and residential property development, which is connected by an indoor moving walkway from Ebisu station. This complex houses Westin Hotel, a Mitsukoshi department store, the Yebisu Beer Museum and the Tokyo Metropolitan Museum of Photography, as well as residences and a wide selection of restaurants and caf辿s. 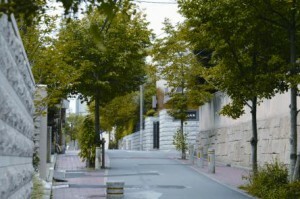 The neighborhood of Ebisu 3-chome is also close to Shirokanedai, through Platinum Street. Basically, there are many low-rise apartments and individual houses in the Ebisu area. However, most houses tend to be on the small side (many are around 80-120 sq. meters), given its urban location; but there are a handful of larger ones in the vicinity. Apartments tend to be on the low side and the area does not really have any tower-type residences. Overall, it?? ?s a convenient location and access to a wide variety of transportation. Located between Shibuya, Hiroo and Ebisu, Higashi is a very quiet and tranquil area consisting of mainly individual residential houses. It is considered an expensive, upmarket area given its close proximity to posh areas like Hiroo and Ebisu and offering conveniences being so close to Shibuya. Prince and Princess Hitachi of the Imperial family officially reside in a land size of 20,000 sq.m within the eastern side of Higashi that borders Minami-Aoyama. Other landmarks include the Kokugakuin University and a nice public health center equipped with an indoor swimming pool run by the Shibuya Ward. Hiroo neighbors Ebisu, Shibuya and Roppongi. It is a posh and upscale residential neighborhood that, much like its neighboring areas, hosts many of Tokyo?? ?s embassies. The area is made famous by high-end, luxurious property developments, as well as one of Tokyo?? ?s most revered parks, the Arisugawa Park. There is somewhat of an old money charm to Hiroo because of the popularity of Hiroo Garden Hills, an older, vintage but nevertheless sought-after address in Hiroo. 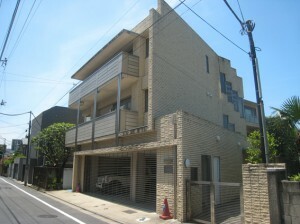 Hiroo 2-chome has many high-end individual houses as well as upmarket low-rise apartment buildings. The Hibiya train line runs through Hiroo station and there are buses that bring residents to places like Shibuya. Major hospitals, such as the Tokyo Metropolitan, Nisseki Red Cross and Aiikuu, are also located in the neighborhood, while the Metropolitan Central Library is located inside Arisugawa Park, which also houses a high quality children?? ?s playground. Hiroo provides easy access to a number of well-known and reputed international schools and the large number of foreign residents has brought foreigner-friendly amenities, such as the National Azabu supermarket and bilingual clinics and services. 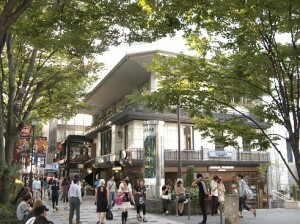 The Hiroo Shopping Street offers a mix of old and new businesses, and also hosts many Japanese and ethnic restaurants. Hiroo Plaza houses another supermarket in its building. Located near Harajuku and Meiji Jingumae stations, the address of Jingumae is basically surrounding the main shopping area of Omotesando. Jingumae 1 through 4-chome are located north of Omotesando Avenue, while Jingumae 5 and 6-chome are south of the road. 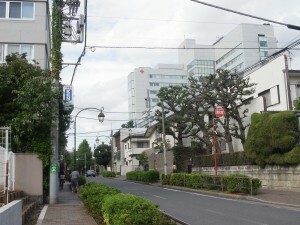 While there are some high-rise residences that dot the area closest to the stations, a good part of Jingumae comprises of low-rise apartment buildings and detached houses that are set in surprisingly quiet pockets, despite the close proximity to the center of town. The location offers a wide range of attractions beyond the shopping and wining and dining that can be found in Harajuku and Omotesando. 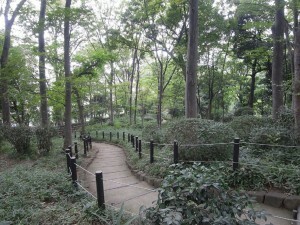 For instance, Yoyogi Park is located close by and offers a large public green space for recreation. Also, Jingu Stadium, National Stadium and Meiji-Jingu Outer Gardens (Jingu Gaien) are in the vicinity. Minami Aoyama and Shibuya are also within easy reach. The area surrounding Shibuya station is a shopping and entertainment hub; and Shibuya is one of Tokyo?? ?s most busy and exciting districts, packed with shopping, dining and nightclubs. While it is known as the ?center for youth culture, retail outlets in the area cater to all. Major department stores are also found here nestled among the newer international retail chains such as Gap, H&M, Forever 21 and Zara, as well as homegrown favorites like Tokyu Hands and Loft. While the area around Shibuya train station is mostly commercial, there are pockets of residential areas which offer a more quiet scene despite being walking distance to such a developed hub. 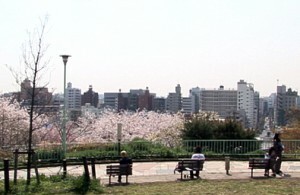 The surrounding areas include Higashi, Sakuragaoka, Nanpeidai and Shouto. As numerous train lines are served by Shibuya station, being close to this hub would enable residents to easily access other major areas of Tokyo. Shoto is an affluent area featuring numerous mansion houses and it is one of Tokyo?? ?s nicest and most exclusive neighborhoods. Many of the top-tier housing will offer state-of-the art kitchens and bathrooms in buildings boasting immaculately-kept gardens. Shoto?? ?s close proximity to Shibuya offers unbridled shopping and dining options with easy transportation access. 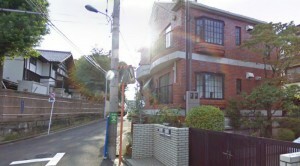 Shoto has a large foreign population and many Japanese politicians, celebrities and executives have houses in the area. Both international and local schools are within reach and internationally-friendly areas such as Ebisu and Daikanyama are close. Within Shoto, there are a variety of museums; such as the Shoto Museum of Art and the Toguri Museum of Art as well as the Kanze Noh Theater. Shibuya?? ?s Bunkamura (concert hall and cinema) in the Tokyu Honten department store building borders Shoto 1-chome. Nabeshima Park, a charming public park is also in the area. Yoyogi-Uehara is an upscale residential neighborhood favoured by both foreign and local residents, and which has a suburban atmosphere. One of the nicer property developments in the area is La Tour Yoyogi-Uehara, which offers spacious apartments with five-star amenities; such as 24-hour bilingual concierge staff, an indoor children?? ?s playground, a state-of-the-art gym and a rooftop terrace. The area has many large, detached houses which are favored by foreign families. One of the key features of Yoyogi-Uehara is its close proximity to one of Tokyo?? ?s largest parks, Yoyogi Park. This large park offers ample space for picnics, jogging and children to play, and this enormous space attracts people of all ages to come to the park for leisure. There are a spattering of restaurants and cafes that dot the area. The train station also includes a small shopping center with restaurants and food shops. Yoyogi-Uehara is served by both Chiyoda and Odakyu Odawara train lines. Yoyogi Uehara and the surrounding area would be ideal for foreign families who would prefer a more suburban atmosphere, living in a house setting, while still being close enough to the action. School buses of international school run through this area.